Every product Philippi-Hagenbuch makes is engineered and build to order. The company’s latest developments, which were discussed at AGG1 Aggregates Academy & Expo in Indianapolis, are no different. One new Philippi-Hagenbuch development is a push block for articulated and rigid-frame trucks. 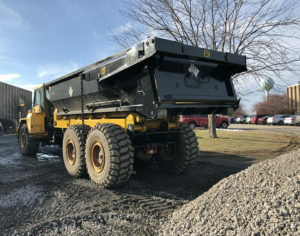 The company engineered its push block to integrate with the rear chassis on off-highway trucks ranging from 20 to 400 tons. The development offers operators a safe and engineered “push point” to dislodge trucks from areas with poor ground conditions without damaging the truck body or pushing equipment. As a result, Philippi-Hagenbuch developed a dynamic push block that mounts to the frame of the truck and interfaces with the body. The push block also features an integrated hook so operators can pull trucks if they’re stuck. “It’s extremely robust – a mining-duty push block,” Swank says. 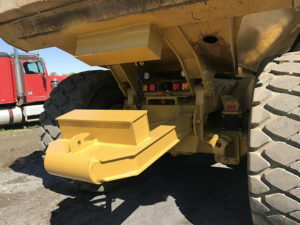 According to Swank, the push block emerged because one particular customer had several bad experiences dislodging trucks from poor ground conditions. The costs associated with stuck trucks kept adding up for this customer. The customer typically utilized mobile equipment, such as dozers or loaders, to push trucks out of their jams. Of course, this approach isn’t the safest or most productive method. 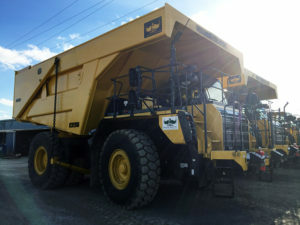 At AGG1, Swank also discussed a new version of Philippi-Hagenbuch’s Autogate tailgate for Komatsu rigid-frame trucks. The new Autogate is designed with a traditional outrigger that bolts to the undercarriage of the off-highway truck. According to the company, the new design does not require any welding to the frame. This allows operators to retain Komatsu’s original OEM truck frame warranty. The design’s new “banana superstructure,” meanwhile, provides stability, quality and structural integrity without sacrificing opening clearance at full dump, Philippi-Hagenbuch says. Additionally, the new design minimizes frustrations of producer service departments concerning premature tailgate chain wear and roller-box maintenance found previously on tailgates designed for Komatsu rigid-frame trucks. 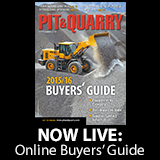 A third Philippi-Hagenbuch development detailed at AGG1 stems from a customer issue outside the aggregate industry. The company’s new positive seal tailgate for truck bodies and containers, however, has applicability to aggregate operations. The new positive seal tailgate can be paired with proprietary fluidic seal material to create a water-tight seal that contains liquid materials within an off-highway truck body or roll-off container when environmental regulations or local laws make even slight spillage undesirable. The positive seal Autogate tailgate can be designed for just about any size off-highway truck or roll-off container, the company says. Paired with Philippi-Hagenbuch’s outrigger, the tailgate’s scissors-style mechanism provides a maximum opening clearance at full dump. In the closed position, the design positively locks into place and will not open under normal conditions without the body or container entering the “dump” mode. While the positive seal tailgate is a niche product, one case in which aggregate producers could utilize it is in scenarios when they’re crossing state or public roads. 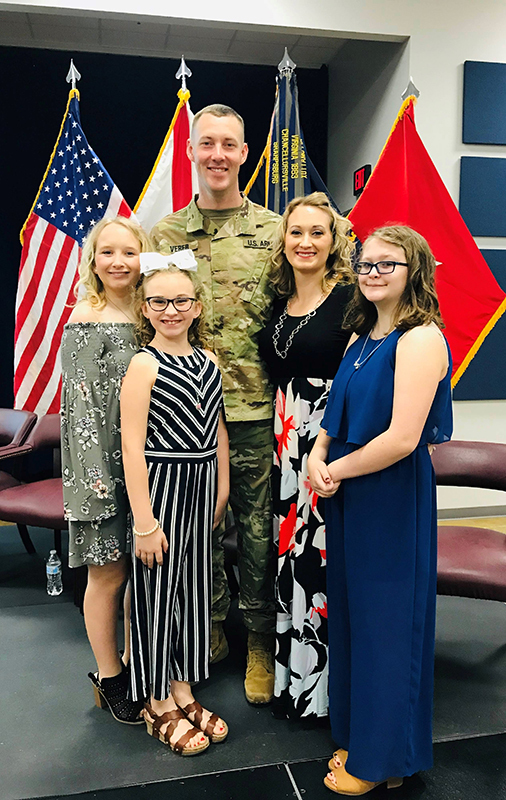 “If they can’t have any leakage and they’re hauling in a truck body, we have a solution,” Swank says.